Even have a few free Blogger AdSense templates, although I make most of my online money through WordPress I do use free Blogger blogs to support my network of WordPress blogs: I needed Blogger SEO templates, also added AdSense. As of June 2014 My best WordPress AdSense theme is Stallion Responsive, it’s got everything you could ask for in an AdSense ready theme from full control over ad sizes, placement, colours etc… to full support for the newer responsive AdSense beta ads units: actually my responsive AdSense code implementation is better than adding responsive AdSense ad units manually (the ad code Google AdSense supplies). To see Stallion Responsive AdSense implementation just look at this post and site, all my WordPress sites (own over 100) run on Stallion, so the three AdSense ads you see on this article: left sidebar, just above to the right in the main content and the ad within the footer are all built into Stallion Responsive (those are all AdSense Responsive Beta Ad Units). To the right is what this page would look like in a mobile phone, the large main content ad unit has been reduced in size to fit the screen. The sites sidebar is loaded below the main content, you’ll find that AdSense ad unit has also been resized to fit the screen, same for the footer ad, the footers been scaled down to fit the screen and the large 728px wide AdSense ad has been scaled to fit the available space. The above is all built into Stallion responsive, no messing around with the responsive AdSense ad unit beta codes CSS to match responsive theme sizes (like you would with manual implementation with another responsive WordPress theme). 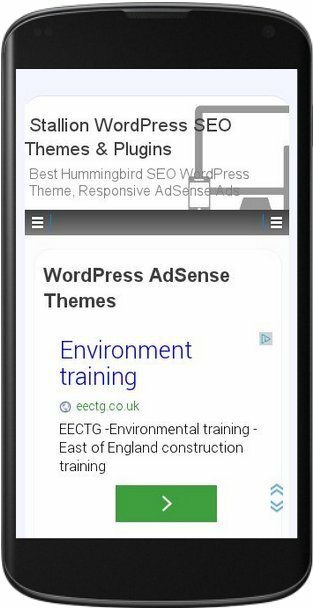 For the record you can’t use the quick way to setup responsive AdSense ads (AdSense has a option to basically guess the available screen width) with most themes IF you want to implement a main content ad (the one floating within the main content: highest earning ad area). Google AdSense beta assumes all the ad units are full screen width, so as a screen scales to fit a device the AdSense ads pretty much match the full screen width. If you have a theme that at say 600px screen width still loads a sidebar your main AdSense ad unit will be too wide as would your sidebar ad units. I set the ad code and ad sizes etc… under the Stallion Responsive AdSense Options page: click the image below for a full screenshot of all the AdSense options (there’s a lot) or go to the link above where all the options are explained. If you want the best, it’s Stallion Responsive, but it’s not a free WP theme, don’t have any money, read on. 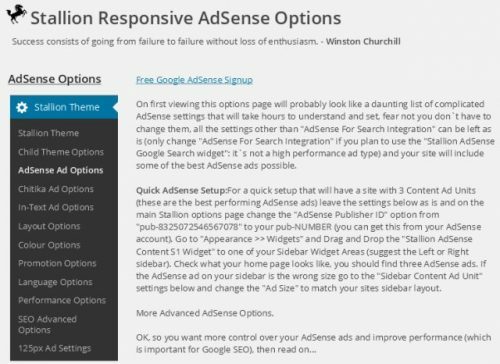 As I mentioned above I’ve been creating WordPress themes with AdSense built in since 2006, as I’ve created the next generation of AdSense theme my older themes are not as good. 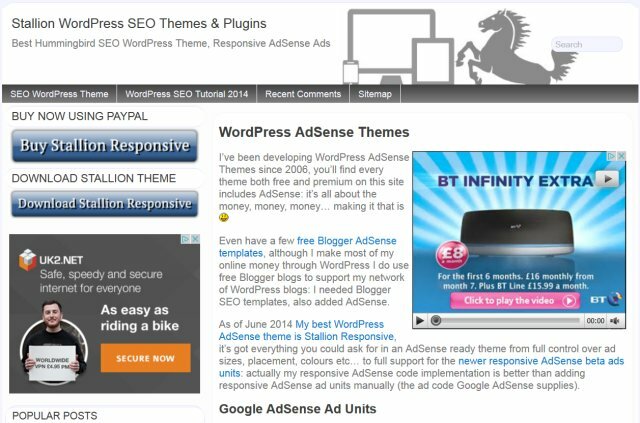 I’ve got a lot of free AdSense themes under the AdSense WordPress Themes section of this site. They used to be all premium themes, but most of them haven’t had an update in years (decided to develop one awesome theme rather than multiple good themes), themes like Blix and Fresh at the time were good AdSense/SEO themes, but today (2014) they are dated and I have no plans to update them (so giving them away for free). The free Talian AdSense theme on the other hand has been updated recently (February 2014: version 5.5) and a few years ago was by far the best WordPress SEO theme available online (was selling Talian for $50). See Talian 5.5 options page below, where Stallion Responsive has over a dozen options page, Talian 5.5 has one. When I moved to the Stallion Theme series (series 6 of my WP themes- Stallion Responsive is series 8) there were tens of thousands of sites running Talian 5, even now there’s at least thousands of Talian 5 powered blogs (autobloggers loved it). Today I’m that confident Stallion Responsive is the best it’s $5,000 for the first person to find a better SEO theme: it won’t be claimed, there is no better SEO theme. So if you are short on cash and want easy AdSense implementation try Talian 5.5, it’s free. Talian 05 includes 6 built in AdSense ad units (3 content and 3 search based) by default which is the maximum number of AdSense ad units you can use on a page. 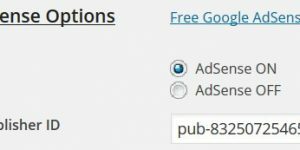 You could still use an AdSense plugin, but you’d need to disable the number of ad units per page added by the AdSense WordPress plugin via the adsense.php file (see file for instructions). Or if you don’t want Talian to deal with the AdSense side of your site at all it can be disabled completely via the Talian options page (tick a box and AdSense is turned off). In the next update of Talian you’ll be able to turn off specific ads via the built in options menu rather than edit the adsense.php file. 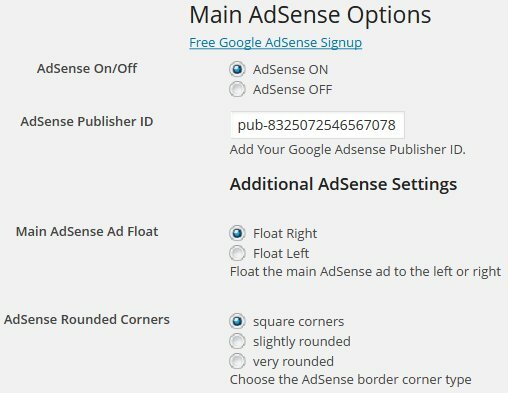 There’s a fair amount of control over the AdSense ads built into Talian 05 and they are placed by default in the best areas for making money, but if you want to use an AdSense plugin instead it’s easy to achieve. This is not a critical install question, but rather a tweek or two. On a few of my sites I am not using the ‘main content ad unit’ but prefer to use the sidebar ‘1 GAT Adsense Content S1’ – twice (or three times) . I could just make a text widget but I like to always do everything within the theme. Is there an easy way to make a second (or third) ‘1 GAT Adsense Content S1’ so I can just drag a second Adsense content unit into the sidebar? The result would be to clear the central column of Adsense and load it up in the side bars. Another question: The ‘Movable content Ad’ is bellow the ‘next page >>’ link on the index page. If I wanted to put it above this ‘next page >>’ which file would I alter? Also would you ever consider a tutorial video? I think your explanations are pretty clearly written, but a walk around video or two might be good if and only if you are not camera shy. In Talian I had two AdSense content widgets, but it confused quite a lot of users, they’d add them all which meant they’d add 4 AdSense content ad units which breaks the AdSense T&C (you can add 3 content ad units). So in Stallion I went with only three content ad units with one being and AdSense widget. I was torn on this decision as I could see some users wanting two AdSense ads on the sidebars and one in the content. If you’ve had a good look through the options pages you can probably imagine how many hours I’ve been coding to get all those features in working, was a heck of a job getting the three main ad networks to work together. So was on a self imposed release deadline which I went over by over a month :-) Now I have more time I’ll look into being able to use at least two of the AdSense content ad units on the sidebars (don’t want to add a fourth content ad unit to reduce problems). For moving the “Movable content Ad” unit you’ll need to edit multiple files. Easiest way is probably to move the Next Page code rather than the AdSense code (the pagination code is less complex). And that will find you the 4 files that use that code. And scroll down the page until you find the AdSense code and paste it below it. Just below the AdSense code. That should put the AdSense ads where you want them. This assumes you are only running AdSense ads and wasn’t also wanting the AdSense ads above Chitika and Clickbank ads. After I write the tutorials thinking about video tutorials. My youngest son has all the software needed to do this installed on his PC (I don’t, not made a video tutorial before) and he might be making some videos for his site so he can promote Stallion and make some more money (he already has some of my Stallion SERPs!). I’ve rushed this update out, so not had time to write tutorials yet. BTW be careful with editing files, I’ve added copy protection to Stallion so it can’t be easily copied. None of the basic WordPress template files are affected (so the usual files a person might edit can be safely edited). The options and ad network files are protected, if they are edited/deleted it breaks Stallion. When you load the files in an editor you’ll know which ones aren’t safe to edit. Hate having to add protection, but Stallion is by far the best WordPress SEO theme and a damn good ad theme and as I’m expecting a lot of interest because of the Clickbank affiliate program it would only be a matter of time before it was copied or added to Torrents. I keep getting google adsense script html in my post? Also if I use the 20x 125x 125 option, Im hoping my image will show , I found the page to enter them , and then should I go to widgets and enter it where?, will all 20 show at once? Oh also when do you think you will have the tutoring video available? Need more information and ideally a URL to show the problems as the above doesn’t indicate what’s going on other than it’s related to the Google AdSense ad unit code? The 125px by 125px ads widget is described how to use on the options page, add the images, links etc… set a number of ads to show and under the Appearance >> Widgets page drag and drop the 125px ad widget to a widget area where you want it. If you add 20 ads and select to show 20 ads all will show, if you add 20 ads but select show 6, 6 will be randomly selected each page load. Video tutorials is on the list of things to do one day, not a high priority since most features are described within the theme in brief and on this site in detail. This is the site that I’m referring to for google color script in the post. Also as previously stated , my images are not showing on the post option or in custom widget options. Also what traffic generating software $ to plug in do you recommend? You’ve made a mistake in the way you added the AdSense code to the Stallion theme. You’ve added an entire AdSense ad unit to the Channel box. You’ve also not added your AdSense pub-number over mine in the Adsense publisher Id box. I think that’s your Ad channel code for the ad you tried to add. To an ad channel box on the Stallion Adsense options page to track an ad location. If you aren’t looking to track specifc ads, add nothing to that box. See Stallion WordPress Theme AdSense Setup for detailed instructions. Did you delete the image off Picasaweb? I don’t have a traffic generating plugin to recommend, if you are looking for search engine traffic there’s a free plugin at WordPress SEO Plugins that can help generate free backlinks, the Copyfeed plugin will add links to your site from sites that scrape your content. Say your website monetizes not on AdSense ads but on lets say a donation button or you are selling a product. Would it make sense in a future update to make the “main content ad” be replaceable with your own custom ads for products from your own store or a donation button. So is someone lands on a posts, right in the sweet spot of the main content they see and for stallion theme or a tip jar, or a if you sell ten products you can create your own ads that rotate in this place for these products, for example. Given that the main content ad is the most powerful location. That’s exactly why I added the Content Ad Widget area under Appearance >> Widgets, I just haven’t got around to using it on my own sites! Try dropping one of the Stallion Clickbank Affiliate Banner widgets into the Content Ad Widget area as a test and you’ll see exactly what you want :-) You can also use the Custom Ad Widget for adding a banner ad to that widget as well. I have a script I used on the Joke site for rotating affiliate products on the sidebar a while back (didn’t do well at all), considered adding it to Stallion, but it wasn’t easy to use. Add say 3 ads to the 125px ad page and set the number of ads to show to 1. Put the 125px ad widget in the content ad widget area and you’ll have a left floated rotating banner ad with 3 ads. The image size for the 125px ad widget isn’t fixed at 125px so any size image ads can be used. 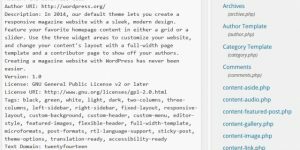 Talian 5 WordPress AdSense Theme Update? just wondering what will be the update on the features for Stallion 7 will contain. I am using this theme on a couple blogs, but I have a feeling I will be moving to the CTR theme for future installs. I set up two Adsense and two Chitika content ads after moving a site to Stallion. The Chitika ones work fine, but the Adsense ones show blank. Is there a way of finding out what is causing this? AdSense banned: search Google for AdSense Banned and find a site that checks if your domain is AdSense banned. Or broken AdSense code. Read the info on the main Stallion Theme option page where you added your AdSense pub-number and check if you copy and pasted a space before or after the pub-number which would break the ad code. Without the site URL no idea beyond the above. Glad you fixed the widget issue.